Class volunteers are elected at every reunion. Each position is held for the five years between each class’s reunion. The primary goal of the Reunion Chair is to get as many classmates as possible to return to campus for Reunion Weekend. 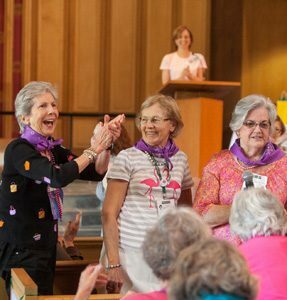 Committee members assist with networking and help reflect the class character on Reunion activities and events like the hospitality room, parade, and special events. These members should be committed to engaging classmates and supporting the Reunion Chair. 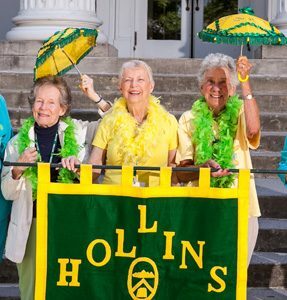 The reunion gift chair(s) position should be held by consistent donors to the Hollins Fund who desire to help their class participate more in the Hollins Fund. The class reporter serves as the main point of contact between Hollins and her class, particularly during non-reunion years. 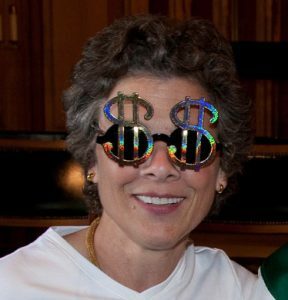 She (or he, for graduate programs) is responsible for submitting a class letter column three times a year, for each issue of Hollins magazine, composed of news from her classmates. 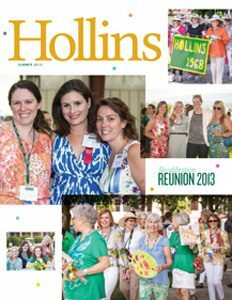 Note: class letters are only published in the print edition of Hollins magazine. Contact us if you’re interested in volunteering for Hollins.